Animal Mandala Coloring Pages | Animal Jr.
A mandala is a circular picture, diagram or artwork that originated in Hindusim and Buddhism. Mandalas are created and decorated as a way to focus attention and center yourself. Today they are popular with both children and adults, and are used for meditation and art therapy – and fun! I enjoyed making these mandalas so much I am going to create a whole book of them. I DID create a whole book of them!!! SEE BELOW!!!! I hope you enjoy coloring them just as much as I did drawing them! So, FIVE years after first drawing these animal mandalas, a wonderful indie publisher Ulysses Press has decided they liked my work enough to put together a REAL coloring book of my animal mandala coloring pages! It wasn’t supposed to be released until September 2014, but it came back from the printer early and now it is in stock on Amazon! I don’t even have a copy of it yet, but some of my friends who pre-ordered the book do – haha! 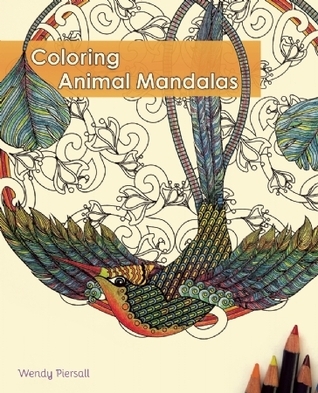 Coloring Animal Mandalas Book Preview! From the Sanskrit word for “circle,” mandalas have been used for meditation and healing for thousands of years. 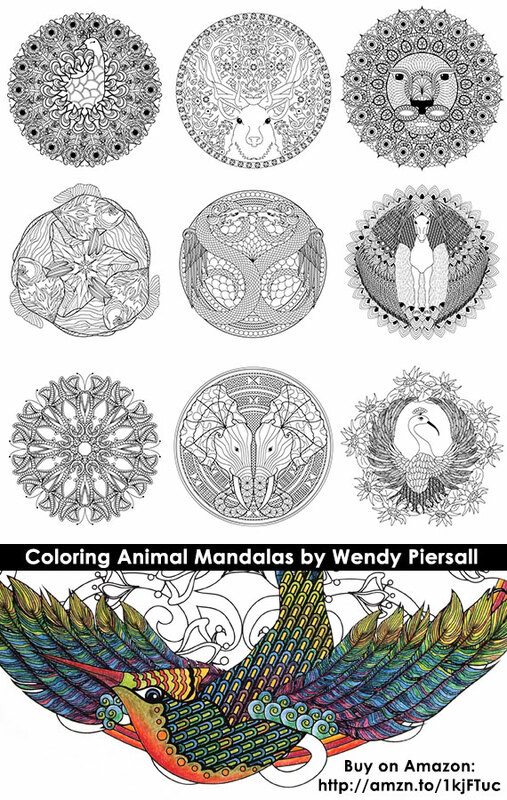 Coloring Animal Mandalas adds the beauty of the animal kingdom—including butterflies, tigers, swans, snakes, lions, and even dragons—into these intricate designs for page after page of coloring book bliss. With roots in Hinduism and Buddhism, mandalas are spiritual symbols that represent the universe. Coloring these hypnotically beautiful, mystical shapes is a meditative and enjoyable way to relax. A fun way to achieve a state of mindfulness, Coloring Animal Mandalas adds fosters creativity, reduces stress, and allows you to embrace your inner child by focusing on the simple but engaging task of coloring in the detailed designs. Giveaway ends September 09, 2014. These mandala coloring pages are just exquisite. I’ve added a post to Adult Coloring blog pointing visitors here; I particularly love the dragon mandala! AWESOME~ ~ ~ BUT IT WOULD BE BETTER IF YOU DO A HELLO KITTY ONE OR SOMETHING BECAUSE I AM A GIRL, BUT I DO LOVE DRAGONS! ! !